A few weeks ago I already did some post about new task sequence variables. This week my post will be about another new (task sequence) variable. This one will probably not be used often, but can be very useful in some specific situations. 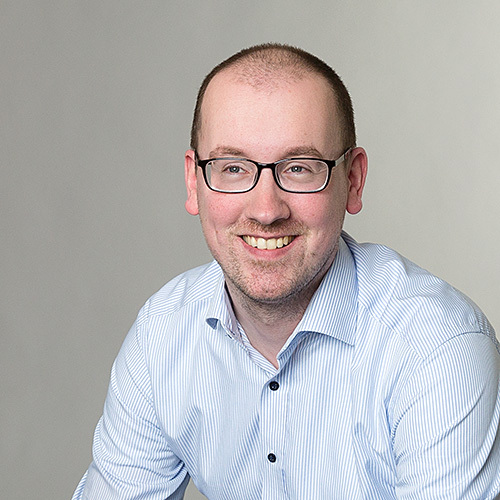 Think about situations where the company demands that the language of everything that a user can see is displayed in the users’ own language. In this post I will use the German language as an example. 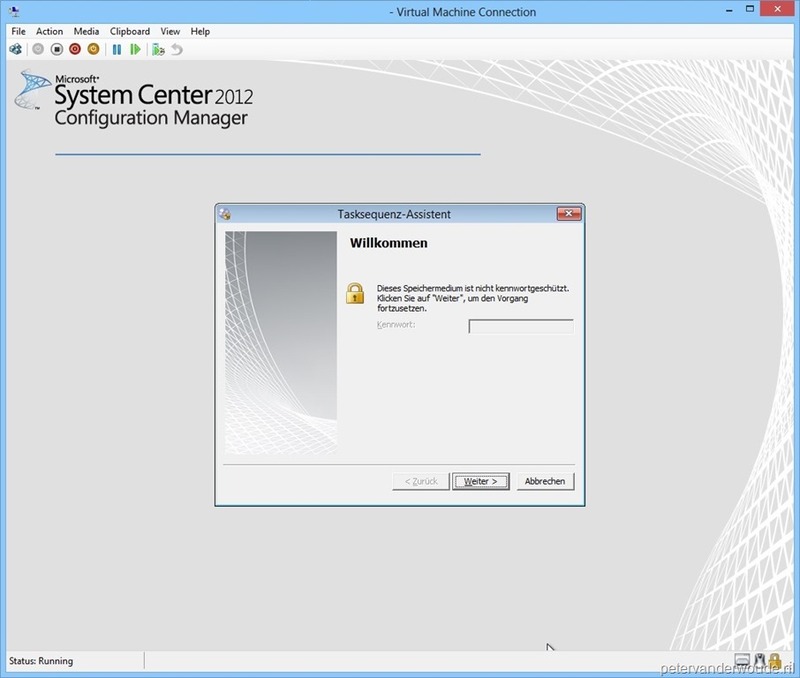 Start the Configuration Manager 2012 SP1 Setup Wizard. On the Before You Begin –page, click Next. On the Getting Started –page, select Perform site maintenance or reset this site and click Next. On the Site Maintenance –page, select Modify language configuration and click Next. On the Prerequisite Downloads –page, click Next. On the Server Language Selection –page, select German and click Next. On the Client Language Selection –page, click Next. On the Settings Summary –page, click Next. On the Configuration –page, click Close. Open the Properties of the Boot image. select Include files for the prestart command and select as Source directory the location of the SetSMSTSLanguageFolder.vbs script. On the Cofiguration Manager –popup, click Yes and the Update Distribution Wizard will show. On the Summary –page, click Next. On the Completion –page, click Close. Note: To see if the changes are applied to the boot image, keep an eye on the SMSProv.log. Probably the result is predictable, but I still want to show it. Under here is a before-picture of the “normal” English version followed by an after-picture of the German version. For those wondering why I didn’t use Dutch as an example, as that’s my native language. 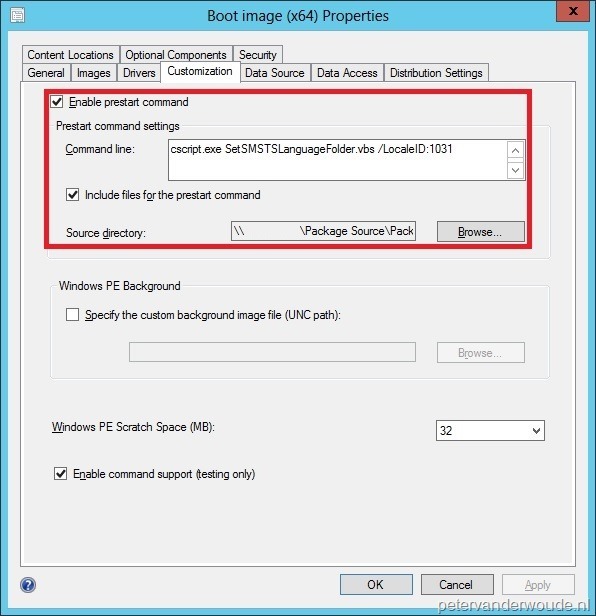 The reason for that is simple, there is no Dutch language pack available for ConfigMgr SP1 (BETA), yet. In case anyone wants to do this for their own language, just replace German for a different language and replace the LocaleID for the corresponding locale id (list of all Locale IDs see: http://msdn.microsoft.com/en-us/goglobal/bb895996.aspx).